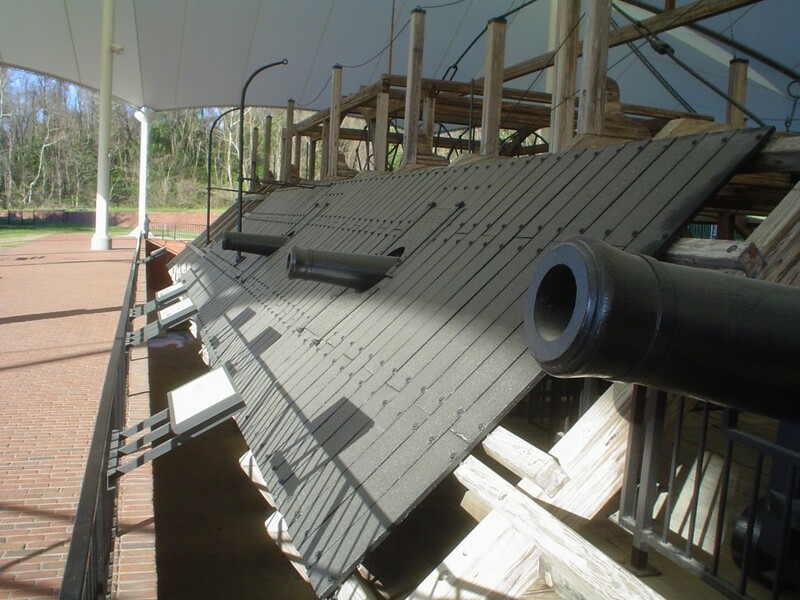 The USS Cairo is a civil war era iron-clad boat that has been partially restored and is on display at Vicksburg National Military Park in Mississippi. It was boat like this that participated in the siege of Vicksburg. The Cairo is also famous for being the first ship to ever be sunk by an electronically detonated torpedo. The boat lay buried in mud and silt for over 100 years before people became interested in trying to locate it and bring it up. It was eventually cut into three pieces so it could be raised and then transported for restoration.